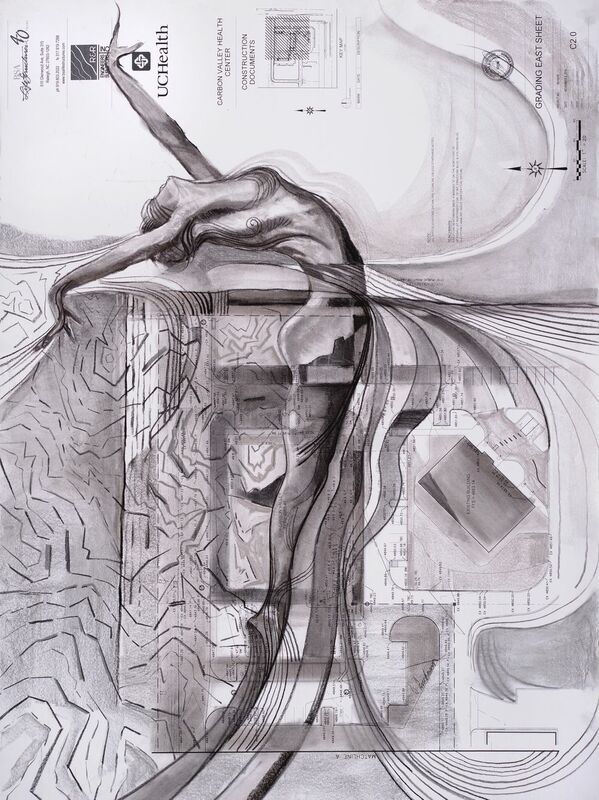 A charcoal in which I experimented with the integration of dance imagery and construction. Both represent perfection. This 30″ x 40″ drawing is part of a series that includes similar drawings on blueprints for several buildings, including the Colorado Ballet and an elegant high-rise in New York City.